by MASCI and keep on the standard of services assessment every year. 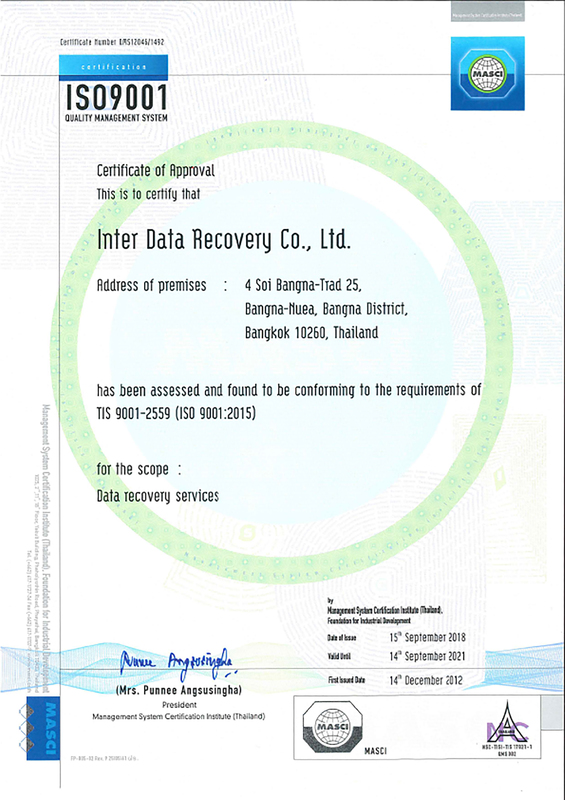 "Worldwide ISO Certification demonstrates that we, IDR, have strong determination to carry out our work and provide our customers with first-class services. Choosing the standard service provider to protect your valuable data from permanently damage.